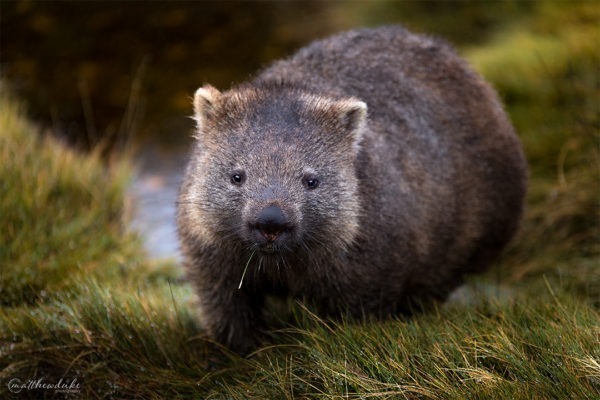 Wombat – If you have visited Cradle Mountain National Park, you will most likely have come across one of the locals, a big furry wombat! This wombat was very happy to have his portrait taken for me while chewing on some grass. He also didn’t care about the constant rain that was drizzling on everyone watching either.